As the creator of a Quiz you have the option of giving your participants the opportunity of re-attempting a quiz. You also have the ability to control how the Participant views this re-attempt. 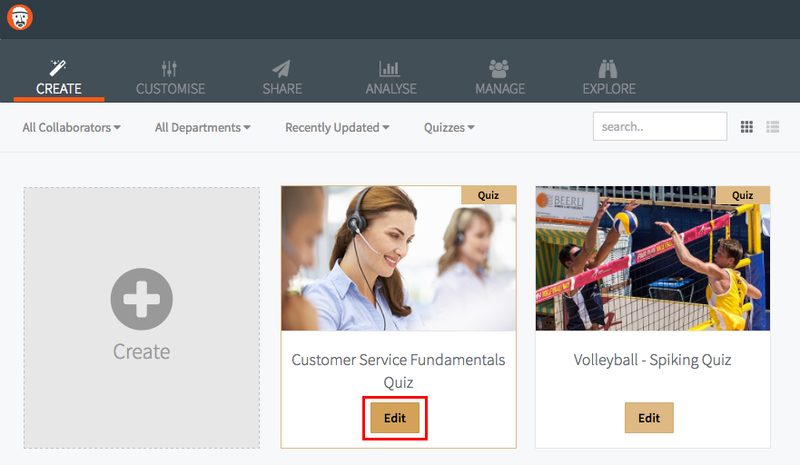 If your Quiz is standalone, and does not belong to a Course then you should access the Quiz settings by finding your Quiz on the dashboard and clicking the edit button. 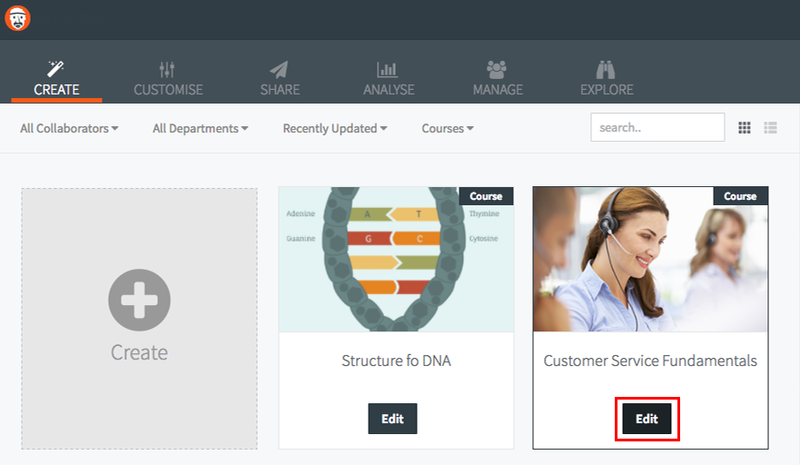 If your Quiz does belong to a Course and you want the settings to be associated with that Course then find the Course on the dashboard and click the edit button. If you've accessed a standalone Quiz, click the little cog icon on the top right hand corner of the editor. 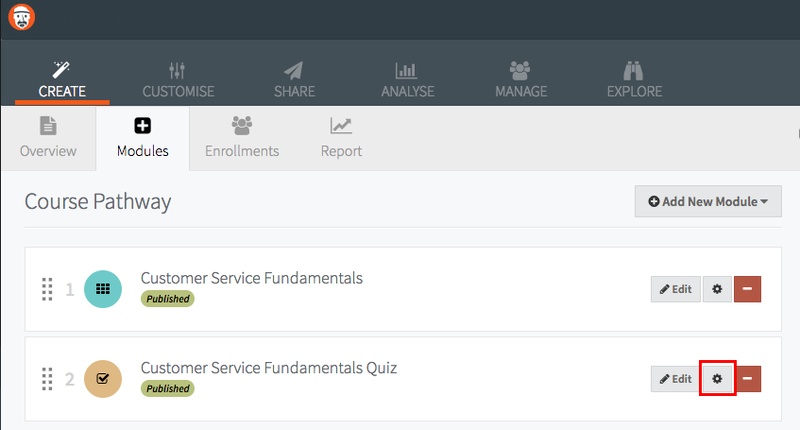 If you've accessed the Quiz through a Course, navigate to the Modules tab and click the little cog icon that appears on the Quiz Module. By default, the number of re-attempts on a quiz is set to unlimited. To change this, uncheck the unlimited checkbox and use the number stepper to choose the number of re-attempts you'd like your Participants to have. There are 2 options you can choose from for re-attempts. Show only questions marked 'incorrect' on previous attempt. Selecting this option will only show the Participant those answers that they got wrong on the previous attempt. They will not see any answers that they got correct the first time. Show correct responses from previous attempt. Selecting this option will not only show the participant which questions they got correct on their previous attempt, it will also preselect the correct answer during their reattempt.